Today’s book – number 18 in the 50 Book Project – is a quick and easy one-signature notebook with a bow tie stitch. 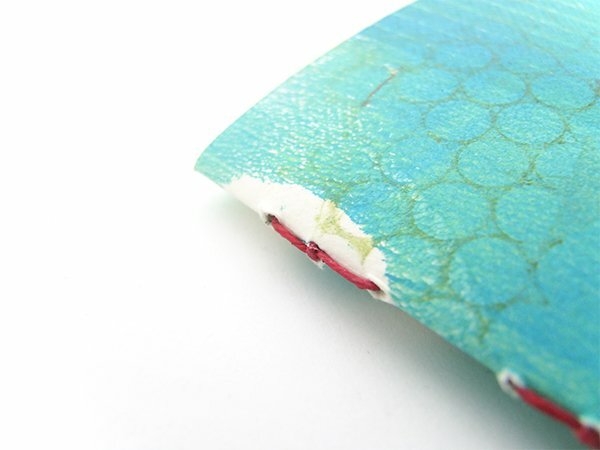 It’s another of Keith Smith’s bindings that you can find in his Non-Adhesive Binding, Vol. 2: 1- 2- & 3-Section Sewings. I promise that next week I’ll go for something completely different. 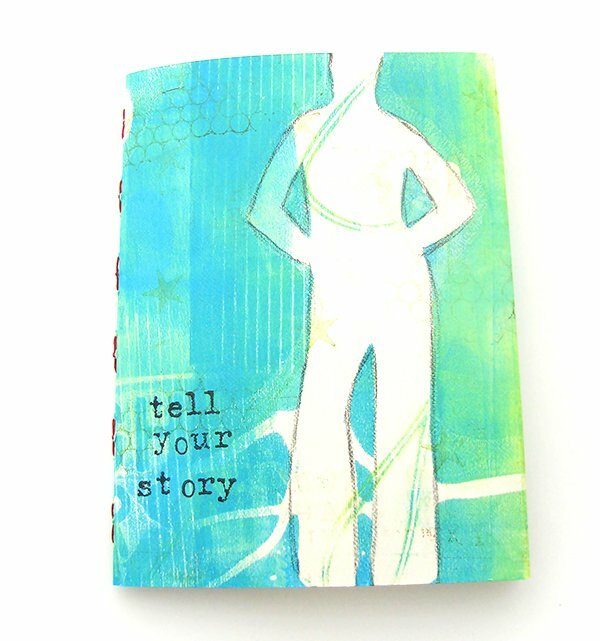 The cover of the book is a gelli print created with Golden Open Acrylics, a mask cut from a magazine and rubber stamps. If you want to learn more about gelli printing, check out my previous post called 10 Awesome Gelli Print Videos. 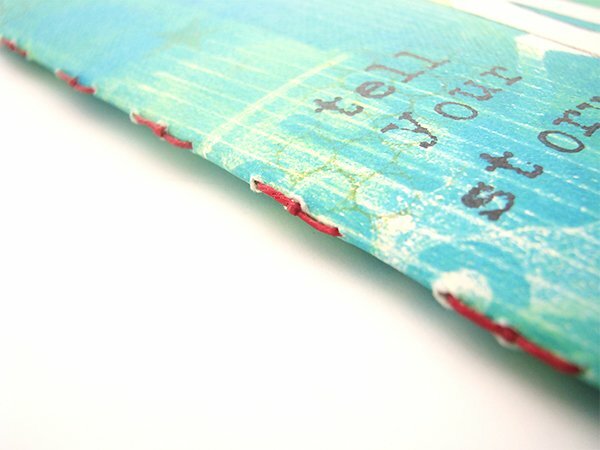 And if you have a pile of prints that you want to make into books, read Tips & Supplies for Gelli Print Books. 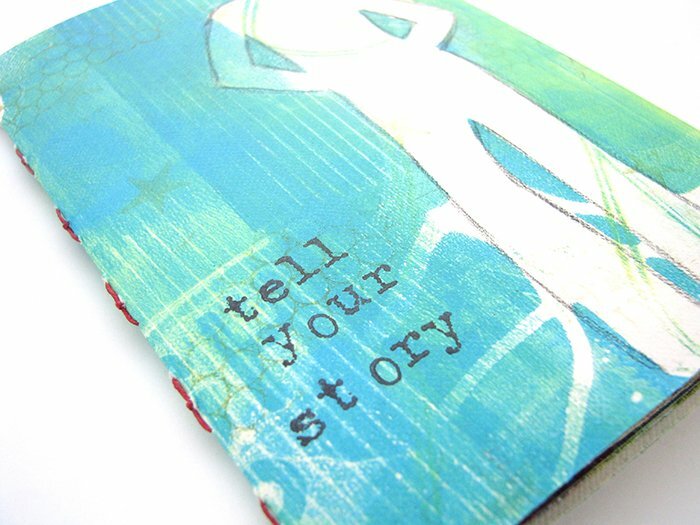 love the color and design of your book; you make great use of the variety of binding stitches when you put your books together which takes the book that one step further than just another pamphlet. You have a knack for reminding me that the simplicity of design can make the outcome memorable.